Art Song concert featuring Maayan Goldenfeld, et al. 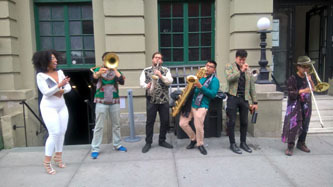 "Our little big band is going into the halls of power and bringing our message of liberation and musical joy. Be a part of our vision for a better world. We'll be playing our reimagining of Igor Stravinsky's Soldier's Tale, Fred Ho's baritone saxophone concerto When The Real Dragons Fly!, a brand new drag opera, scenes from new jazz opera Angela's Ring, David Taylor's doppelgänger lament — and MORE!" 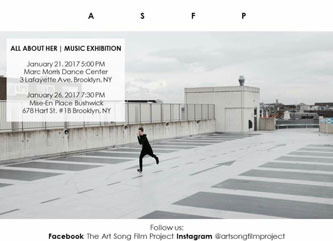 "I am also very excited to invite you to an art song event I will be singing in, right here in Brooklyn! It's a collaboration between musicians Yevgeny Yontov, Claire Galloway Weber, and myself, as well as painters Callie Hirsch and Becca Shmuluvitz. For this art song event, we collected songs about different famous women like Ophelia, Mignon, Mary Stuart, and works by Emily Dickinson, and the painters are creating and collecting artwork that echoes the art songs in the program. We will be performing the songs in a space exhibiting the paintings. In other words, we are aiming to create in this event a collection of visual and musical portraits of these different women." Soprano Nikoleta Rallis, M.Mus. Voice Performance '16, recently performed at Carnegie and Merken Concert Halls. Nikoleta appeared as a featured guest artist at Carnegie's Stern Auditorium on Saturday, February 18 with The New England Symphonic Ensemble as soprano soloist in Beethoven's Choral Fantasy and Handel's Coronation Anthem. Having previously sung at Carnegie, Nikoleta also debuted at Merkin Concert Hall at the Kaufman Music Center on Thursday, March 16 as part of a historical gala concert presented by the Kyrgyz American Foundation, where she performed works by American and Kyrgyz composers. Among the featured composers was fellow Conservatory alumnus Jonathan Levin, M.Mus. Piano Performance '08. 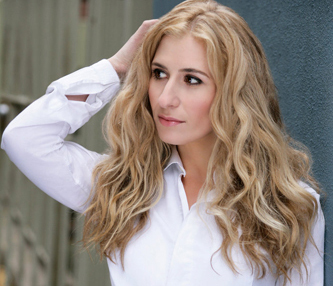 Having completed her master's at Mannes last year, hornist Melissa Danas, B.Mus. Brass Performance '14, has been performing with the Sarajevo Philharmonic, and recently got news that she had won a Fulbright Scholarship. As a result, she will be in Vienna next year, where she will be learning the Viennese horn under the tutelage of the Vienna Philharmonic horn section. 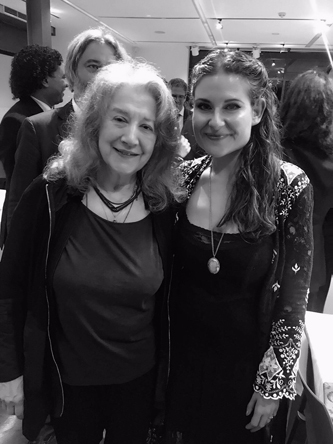 UPDATE: Melissa recently sent us news of her having attended the Salzburg Festival where she had the opportunity to meet piano icon Martha Argerich. 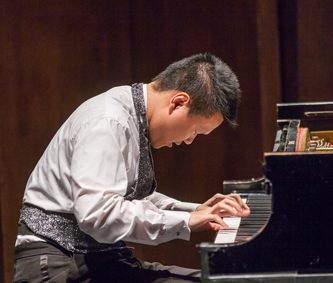 Pianist Brian Lam, M.Mus Piano Performance '15, recently won Second Prize in the New York International Association Artist Piano Competition (no First Prize was awarded) and will be performing at Carnegie Weill Recital Hall on Sunday, September 24, 2017 at 7:30pm as a result of his success.